Best healthy cookie recipes roundup for you and your cookie-loving soul. Best healthy cookie recipes: If a cookie has a slight health twist, that only means I can eat twice the number of cookies. Do you share my logic? 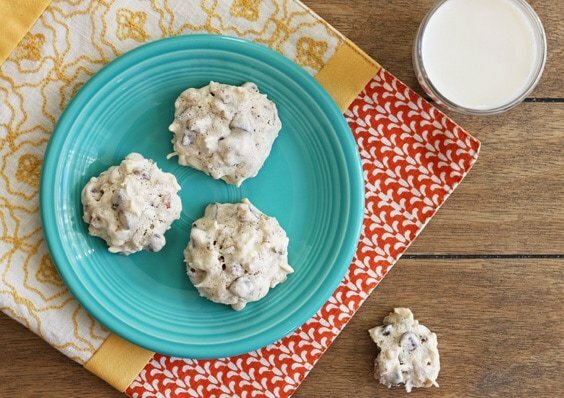 Here’s a collection of the best healthy cookie recipes. Some of them have the addition of a vegetable (like, pumpkin! ), and some boast healthy add-ins like quinoa and flax seeds. Some are even naturally gluten-free or vegan! This cookie recipe is made with coconut oil, whole wheat flour, and coconut sugar. These healthy chocolate chip cookies are the most common cookie recipe that I make for Camille. She loves them (and so do I!). These cookies are not only vegan (thanks to some flax seed action), but they’re gluten free too! These vegan chocolate chip cookies are the recipe that got me into brown rice flour, and now it’s a staple in my pantry. 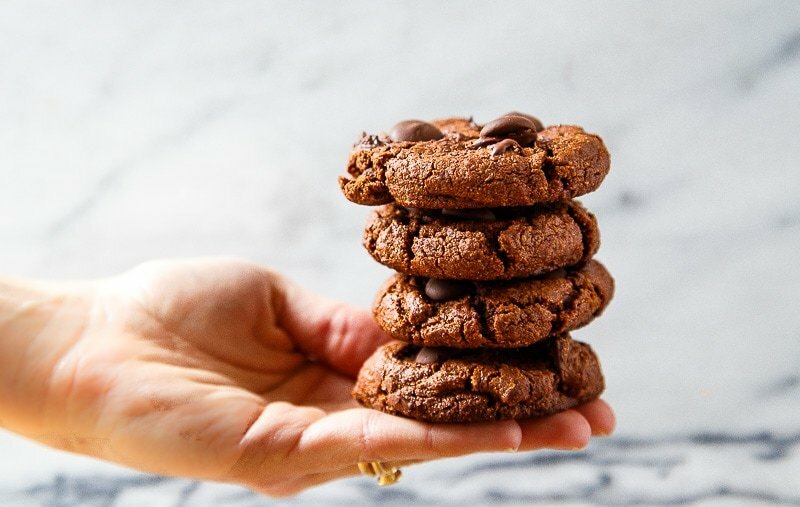 These are the chewiest, chocolate-iest cookies, and they just so happen to be gluten-free because almond flour brings so much CHEW to the table. It’s a happy accident. If you want chewy cookies, skip regular flour and reach for almond flour, and make these gluten free chocolate chip cookies. Everyone knows that if you add a vegetable to a cookie dough, it makes it healthy, right? 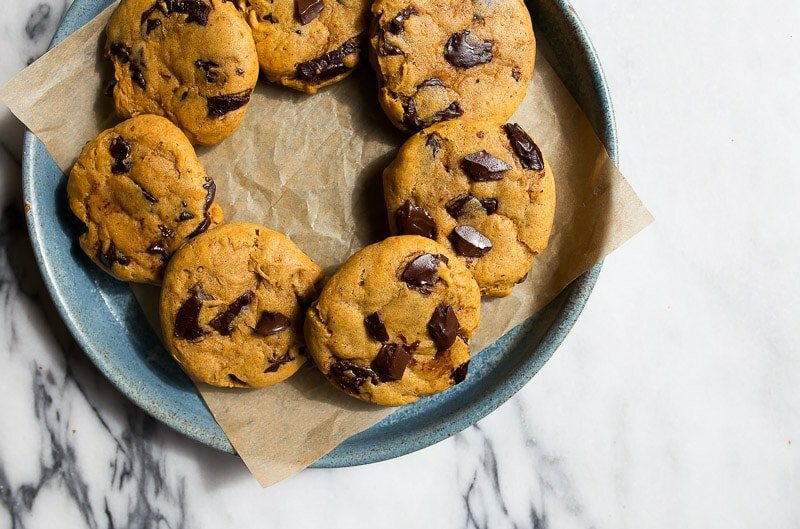 Make these pumpkin chocolate chip cookies, and feel virtuous with every bite. 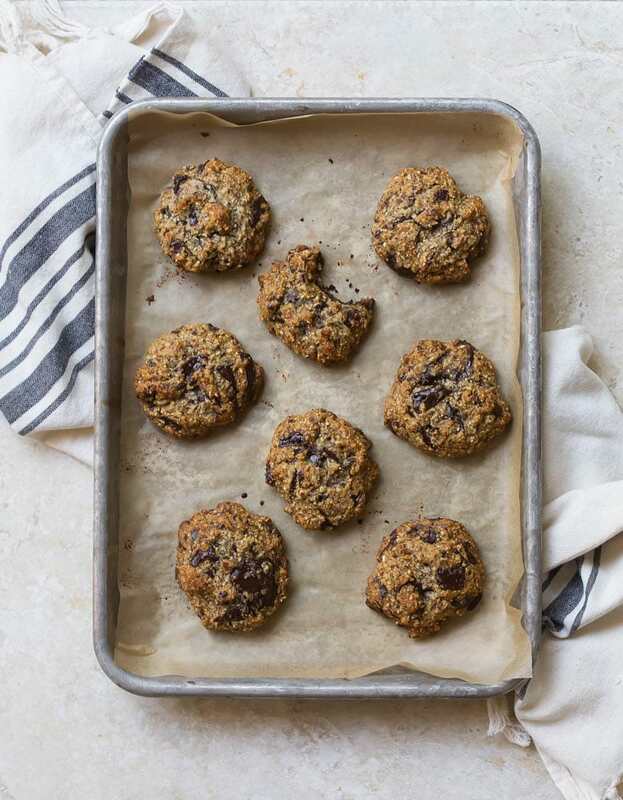 If you like a soft chocolate chip cookie with melty bits of chocolate throughout (and you don’t mind the addition of quinoa for protein), these are the cookies for you. 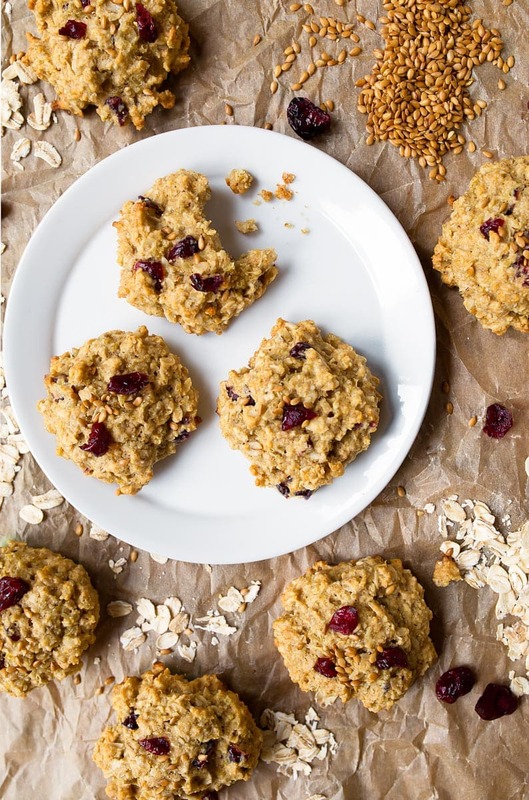 You won’t notice the quinoa for flavor, but you will notice how soft it makes the cookies. 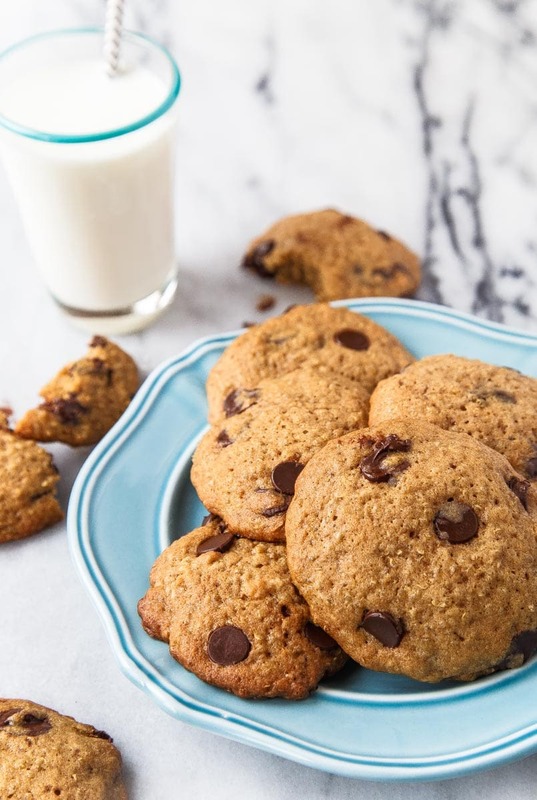 These quinoa chocolate chip cookies are another one of my picks for kids. Ok, while there’s technically no chocolate chips in this cookie recipe, I want you to add them. Remove the dried cranberries and replace with chocolate chips. It’s never a bad idea. Sometimes I think these healthy oatmeal cookies were meant to be this way. Have you ever heard of Forgotten Cookies? It’s an egg-white based cookie dough that is placed into an oven that was preheated but immediately turned off. The door is closed for at least 8 hours, and then you wake up to cookies for breakfast. You’ll love the texture of these crisp and crunchy forgotten cookies. Now you have so many options to choose the best healthy cookie recipes, and I would love to hear your favorite! these have such a nice brown look and i can imagine they taste great!